Unexploded bombs have been found near UK North Sea oil and gas infrastructure according to the Kingfisher Information Service (KIS). 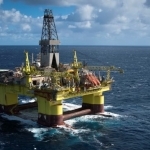 According to KIS a total of 8 “Unexploded Ordnance’ (UXOs), believed to be from the period of WW2, have been found across two areas of major offshore oil and gas infrastructure- although they are not thought to currently be a hazard. 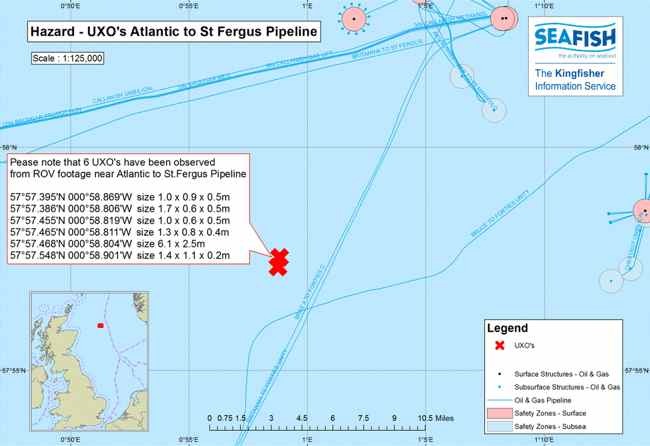 Six UXOs have been found to the side of a subsea pipeline running between the Atlantic field to the onshore St Fergus process facility. 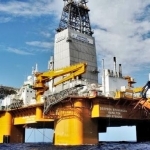 The offshore Atlantic field is located in UK block 14/26a and was operated by BG Group before being shutdown. It is now in the process of being decommissioned. 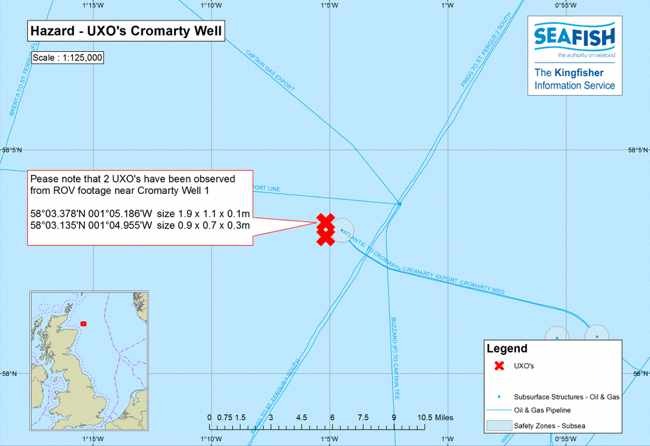 A further two UXOs were found in close proximity to the offshore Cromarty field’s well 1, in license block 13/30a. The field, located approximately 50 miles (80km) north east of St Fergus, was also operated by BG Group and is due to be decommissioned. In 2015, 41 UXOs were found during a survey prior to the construction of an offshore wind farm located 17 miles (27km) off North Norfolk Coast. The wind farm’s operator, Dong Energy, decided to remove the ordinance, and destroy some in situ. Click Here To See A Video Of The Race Bank Offshore Wind Farm Ordinance Being Destroyed.